Discover How To Exfoliate Your Way To Better Skin! Have you ever noticed that EVERYONE says you need to exfoliate? If you spend any time following celebrities, watching the news or reading magazines, the talking heads all agree that it’s one of the most important steps to beautiful skin. Dermatologists and skin care experts now know that exfoliation is one of THE most important things you can do to quickly get younger, fresher looking skin. To understand why, you have to know that the skin constantly refreshes itself by producing new cells and sloughing off dead ones. This process works great when we’re young, but slows as we age. If these dead cells remain on our skin and start to build up, your skin will look dull and lifeless, regardless of your age. However, if you exfoliate regularly, you can remove this “dead” layer of skin cells and stimulate your body to produce newer, healthier cells. So now that you know exfoliation is essential to your skin care routine, how do you go about choosing the right exfoliator? I mean, there are literally hundreds of different lotions, serums, scrubs, peels, powders, masks, microdermabrasion kits and polishers out there. And they all work in different ways with different ingredients. How can you possibly know which exfoliator is the best for your skin? Our community of skin care experts have taken the time to rank, review and test just about every exfoliator we can get our hands on. And every time we test one, we’ll report back here how well it works, how much it costs, what ingredients it has, where you can buy it and everything else you need to know to make an informed decision. 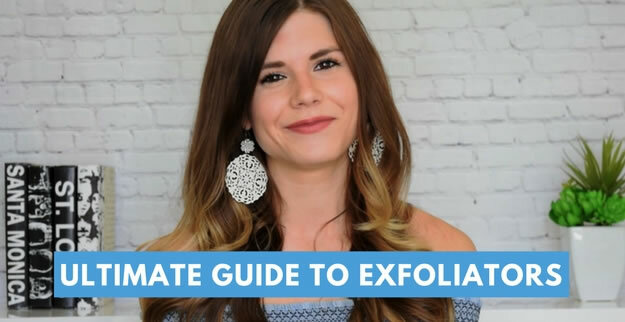 Once you’ve found an exfoliator that sounds perfect for you, we’ve got tons of helpful articles and videos showing you the best ways to use it. So keep reading if you want to learn more about the benefits of exfoliating… or go straight to our list of the best exfoliators. What Is Exfoliation And Why Does Every Beauty Expert and Celebrity Recommend It? So now that you know that regular exfoliation is the key to smoother, brighter-looking skin, you’re probably wondering what exactly exfoliation is and how it works. Simply put, exfoliation is the process of removing dead skin cells from the outermost layer of your skin (called the epidermis for all you science nerds). If you leave these dead skin cells alone, they begin to pile up unevenly– and cause skin to look dull, rough and dry. When you exfoliate, you’re basically signaling to your skin that it’s time to start producing new skin cells. 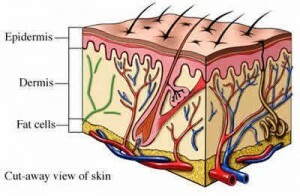 As we mentioned earlier, your skin continually sheds dead cells and produces newer ones. As you age, this process slows down (by the time you’re 50, it takes your skin TWICE as long to renew itself as when you’re in your 20s). So anything you do to “speed up” this process has MAJOR benefits for your skin (which we’ll discuss in the next section). When recently asked for her #1 piece of skincare advice, celebrity skin expert Kate Somerville simply replied: exfoliate! Dr. Harold Lancer, dermatologist for Beyonce, Victoria Beckham, Oprah, and Kim Kardashian says, “To look younger, your skin needs to be exfoliated everyday” and “exfoliation ultimately stimulates the body’s mechanism for rebuilding collagen, the key to restoring your skin”. Dr. Fredric Brandt, cosmetic dermatologist for Madonna, Stephanie Seymour and Kelly Ripa, has this to say, “Regular exfoliation is an important step in maintaining a healthy glow. Without it, skin can appear blotchy and dull”. And Kate Somerville, known as the A-List Beauty Guru, says, “Getting rid of the dead layer when it’s ready and turning over those skin cells is crucial for a brighter complexion”. By now you should have a pretty good idea that exfoliation may be THE most important thing you can do to maintain radiant skin. By exfoliating at home on a regular basis, your skin will begin to experience some truly amazing “anti-aging” benefits. In fact, it’s not unusual for people to experience a complete transformation after just a few weeks of exfoliating! And the best part is, it only takes 10-15 minutes a week. Wow that’s some list! I bet you had no idea that exfoliating could do all of those things. As a sidenote, if you want to see what happens when exfoliation is completely ignored, check out this article by a beauty editor who decided not to wash or exfoliate her face for 21 days. The results aren’t pretty but really drive home the benefits of exfoliation! What Are The Different Types of Exfoliating I Can Do At Home? As you can imagine, there are quite a few different ways to go about exfoliation. And you’ll be happy to know that you can do virtually all of them at home and spend as little, or as much as you want. And because everyone’s skin is different, and reacts differently to different ingredients and procedures, you may have to experiment a bit to discover what works best for you. But once you do, you can rest easy knowing your skin will look younger, fresher, smoother and brighter in no time! Mechanical- involves devices that physically rub away dead skin cells. Examples include a simple washcloth, loofahs, konjac sponges, skin brushes (like Clarisonic) and microdermabrasion. Physical- usually lotions or scrubs that contain ingredients like microbeads, seeds, sugar, sand, coffee beans or nut shells. Chemical- helps loosen the “glue-like” substance that holds skin cells together. Examples include products with enzymes, alphahydroxy acids (AHA) or betahydroxy acids (BHA). Chemical peels and face masks can also be considered chemical exfoliators. If chemical exfoliation sounds good to you, be sure to read our post about glycolic acid– it’s really helpful! We’ll get more into these methods and when to use them in each of the reviews for individual exfoliating products. For now, know that there are a lot of different options available depending on your individual needs and preferences (as well as your budget). Should I Exfoliate My Body Using Body Scrubs? When people think about exfoliation, they are usually referring to the skin on their face. But what about your body? Should you exfoliate that skin as well and how is it different from exfoliating the face? As you probably guessed, it’s very important to exfoliate the body as well as the face. Even though “body” skin is much thicker than facial skin, you still get the same benefits of exfoliation we spoke about earlier. That means smoother, brighter, fresher, younger looking skin! Who doesn’t want that? Because your body skin is thicker than the delicate skin on your face and neck, you’ll want to use a more heavy-duty product. Which means you’ll be looking at body scrubs. A good body scrub contains sugar crystals, salt, sand, seeds, ground up coffee beans and/or nut shells. These work well in body scrubs because they’re are “jagged” and “rough” and tend to do a better job of removing the tougher (and thicker) layer of dead skin cells on the body. Conversely, these ingredients are too harsh and too sharp to be used on the face. That’s where you want to stick to more gentle exfoliation ingredients such as microbeads and smooth jojoba seeds. So are body scrubs a good idea? Now that we’ve covered face and body exfoliation, what about lip exfoliators? Once people realize how great exfoliation is for their skin, the next question we always get is, “how often should I exfoliate”? As we alluded earlier, that really depends on a number of factors like the type of skin you have, how old you are, how much makeup you wear, how much sun you get, etc, etc. The best way to figure out how often to exfoliate is really to experiment. Keep in mind also that sometimes it takes time for your skin to adjust– especially if you’re new to exfoliation. Some people experience tremendous results by doing gentle exfoliation every day before going to bed. Celebrity dermatologist Dr. Lancer is a big fan of this method. Other people like to exfoliate a little more stringently 2 or 3 times a week. This is the preferred method of Kate Somerville. Still others like to mix the two up. Preferring to gently exfoliate every day and then using something a little stronger once or twice a week. This is what the famous cosmetic dermatologist Dr. Brandt suggests (chemical + mechanical exfoliation). The best way to figure out the optimal schedule for you is to start by exfoliating just once a week. And then observing how your skin reacts. If it’s red and flaky, then wait awhile before exfoliating again. If your skin tolerates it well, then perhaps try every other day. After awhile, you’ll figure out exactly what your skin needs to be at its most beautiful! For more, check out our detailed instructions on how to exfoliate. Will Exfoliation Make My Skin Red and Irritated? If you do it right, exfoliation should not result in too much redness or irritation. Especially after you’ve tried it a few times and have found a product that works well for your particular skin. That said, it could take some time for your skin to adjust– even to the most gentle methods in some cases. But after this adjustment period, your skin should not get too red or irritated. That’s a sign that you may want to consider a more gentle product for treatment (or reduce the frequency of when you exfoliate). Severe redness and irritation sometimes occurs with professional microdermabrasion treatments and chemical peels. Many dermatologists consider these treatments unnecessarily intense. Kate Somerville, for one, advises her clients to stay away from microdermabrasion . In her book Complexion Perfection, she says, “The crystals inflict physical injury on your skin, which is just not made to take such a beating. The vacuuming can also break capillaries on the surface of the skin, creating redness or even pigmentation from the injury”. The trick to successful exfoliation is to create a “controlled injury” to the epidermis, which signals to the lower layer of your skin that new cells are needed. This can be easily be accomplished by using gentler, at-home treatments versus some of the more heavy-duty (and expensive) procedures you can find in some doctor’s offices. Learn more about microdermabrasion here. What Are The Best Exfoliators For 2019? By this point I’m sure you’re very interested in exfoliation and how it can help your skin look younger, fresher and more radiant. You know you need to exfoliate but might be feeling a little overwhelmed by the sheer number of different exfoliators out there. Well have no fear– we’re here to help! That means we’ve tried lotions, serums, scrubs, peels, powders, masks, microdermabrasion kits and polishers. We’ve tried mechanical exfoliation, physical exfoliation and chemical exfoliation. And the best part is, we’re unbiased as we actually buy these products ourselves– we don’t accept any “freebies” from the companies we’re reviewing. Plus, after doing our reviews we shoot a video with one of our reviewers actually holding and talking about the product (so you know it’s authentic). How many “review” sites do that? Anyway, to help you pick the best exfoliator for your skin, we’ve ranked what we think are the best exfoliators currently available. You can see what they cost, what ingredients they have and most importantly, how well they work. And if you decide you want to buy one or get more information, we’ll let you know where. When it’s all said and done, you’ll have the exact information and reviews you need to make the best choice for you. 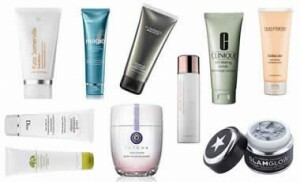 So click here to see our updated list of the best exfoliators. Do You Want Younger, Fresher, Brighter-Looking Skin? Then Follow Us! As you probably already know, getting and maintaining amazing skin requires keeping up with scientific advancements and new and improved products. Obviously to stay up-to-date on everything happening would require a lot of work– and time. So if you’d like us to let you know whenever we review a hot new exfoliator or skin care product, just follow us on social media. You can like us on Facebook, follow us on Twitter, and subscribe to our YouTube channel and Pinterest page. It only takes a second… and can be your little secret to younger, more beautiful skin in no time!